What I love about history is there’s always something to learn from it. We learn about what occurred and consider what else could have happened that may have changed the course of history. At that point, several fortuitous actions happened. Nettie Carter Jackson grabbed Curry, likely preventing her from brandishing the gun. The letter opener grazed King’s aorta, but no one tried to extract it from his chest. Several men lifted the bleeding King, chair and all, to get him medical attention. At Harlem Hospital, it took surgeons over two hours to safely remove the blade, leaving King with a scar he would see each day on his chest until his death. While on that day Martin Luther King survived and thrived, going on to lead the country to a better, more equitable future, Curry’s life had a different fate. She ended up in police custody, declared unfit for trial, then spent much of the rest of her life in mental institutions. Thankfully, King survived that day, but events could have gone a different way. What if someone had removed that 7” letter opener before King got to the hospital? It is said he was “a sneeze away” from rupturing his aorta and bleeding to death. What if the blade hadn’t just nicked the aorta but hit it directly? What if Curry had pulled out the gun first? What if she hadn’t been immediately restrained? 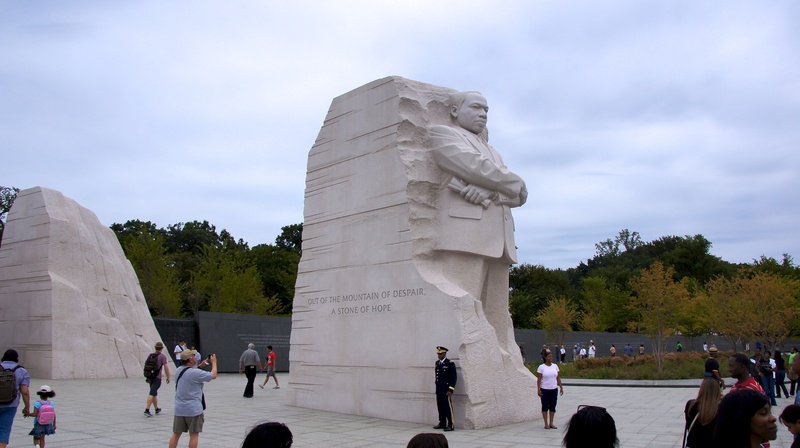 Among other things, two of King’s children would never have been born, his Letter from a Birmingham Jail would never have been penned, the March on Washington may never have come to pass, and we would not have his “I’ve Been to the Mountaintop” speech. That one moment could have changed our country for decades, if not forever. Likewise, what else would King have accomplished if he’d not been murdered on April 4, 1968, at the young age of 39? That is a lot to consider, and these are great critical thinking questions for K12 social studies students to consider! So take a look at the article“A Sneeze Away”—it has spectacular photographs accompanying it, including one showing King with the letter opener protruding from his chest, and an image of him in a robe surrounded by his wife and mother. And there are many other articles on King, his life, and his legacy found in Gale resources that will make you think.